A report in the Logistics and Transportation section of the online Forbes magazine explains that many truck drivers are starting to complain about the intrusive technology that is becoming common in most trucks they drive. 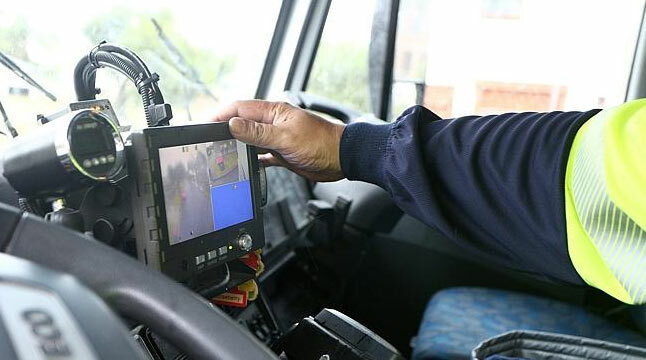 This monitoring technology is seen as “spying” by drivers but there is no doubt that it makes their job safer and protects the trucks while they are on the road. Trucks can be equipped with GPS truck trackers, speed control systems, driver behavior monitor systems, remote speed control systems, alarm systems or video surveillance systems that closely track every action the driver takes while in the field. Proponents of this technology like Sandy Hodes, Senior Vice President of Ryder System Inc, say that it is essential to protecting assets especially in a rental fleet. While this may be necessary for a rental truck fleet is it truly necessary for all drivers? A major truck monitoring system being introduced in many fleets are GPS truck tracking devices (trackers). GPS truck trackers allow the business owner and fleet manager (or head office) to view the live location of all their trucks. The fleet office will see how far each truck has driven on a day, to where and when the driver started and finished driving for the day. 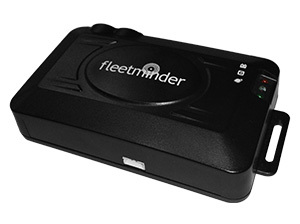 Using Live Tracking systems like the one supplied by fleetminder, this data is kept for a 6 month period*, allowing the fleet office to go back “in time” and review the driving records for any day. * older data can be archived for even longer. The capability of modern GPS truck tracker technology goes well beyond just monitoring location and tracking the stops of each truck. GPS truck trackers have multiple monitoring benefits such as tracking and monitoring truck driver behaviour (speeding, harsh braking or acceleration), as well as monitoring engine indicators (fuel level, fuel use, RPM, temperature). High definition video surveillance is available that records all activity around the vehicle and some even go so far as to place a video in front of the driver facing them at all times. This excessive amount of surveillance has started to annoy some drivers and they are usually forced to accept the technology installed in the vehicles. The reason that truck owners continue to monitor truck driver behavior is that there is a proven safety record when drivers are being monitored and it is tough to deny that it changes driver behaviors. There are numerous studies showing safety records for trucks including a recent study by the International Journal of Injury Control and Safety Prevention that identified trucks as being the culprit for over 4,500 deaths on highways in the United States and the proportion of deaths caused by trucks increases considerably by just a 1% rise in the amount of trucks on the highways. And it is not just the large commercial trucks that are the biggest factors in highway accidents, instead it is the medium duty trucks that have a dramatic increase in crashes and poorer safety records according to the American Transportation Research Institute. In Australia, deaths caused by vehicle and road use can be found here. Safety records have become an essential part of doing business now when you own a truck fleet. The Compliance, Safety, Accountability Initiative now records safety records for truck drivers and when a low score is received it can result in trucks being removed from the road and unable to do business. Many businesses that use trucks have reported that they saw improved safety and better management of their trucks when they installed monitoring systems on their trucks. These systems have encouraged drivers to follow safe driving habits that protect both the drivers and the trucks while they are in service. Some have become so advanced that some allow remote braking when an object is seen in front of the truck that could result in an accident. Each of these features has a safety benefit to the drivers and protects the trucks but the feature that has generated considerable controversy are the video monitoring systems. Driver-facing cameras are monitoring driver behavior and taken safety one step too far into the realm of spying. Driver facing cameras allow the employer to track the behavior and driving habits of a truck driver. These cameras, along with the detailed information available from the truck itself present a comprehensive history of all activities the truck and driver encountered while they are working. This information has also been used to clear the driver of blame in the event of a disputed accident as the detailed history showed that they performed correctly and safely driving to avoid the collision, taking all possible steps. Unfortunately, drivers have little recourse when it comes to driver facing cameras and many courts have ruled that drivers have little rights to privacy when working. If legally you need to have fitted certain monitoring technology in your truck(s) then obviously that’s what you need to do. After that it really comes down to what automotive monitoring tech is helpful to improve safety and to increase efficiency and productivity of your truck fleet and drivers. The ‘sell’ to your drivers against the privacy argument is that it improves THEIR safety and the safety of other road users.